I realize that the book has become a tangible point of entry for me to level critique, roundly, that includes myself. I think that my experiences and mobility are pretty limited. For the text to be grounded it necessarily contains my everyday life, including paid work and organizing. I prefer poetry that documents, witnesses, reveals structure, talks back and raises questions in ways that are not closed or irrelevant to my friends, family, allies. I’ve learned to reference cultural production with a specific interest in its process and public, and not simply the object/outcome. I relate best to work being produced under hard conditions and in active solidarity with directly impacted communities. If my poetry is relevant to the work of organizing then that’s a fortunate convergence. 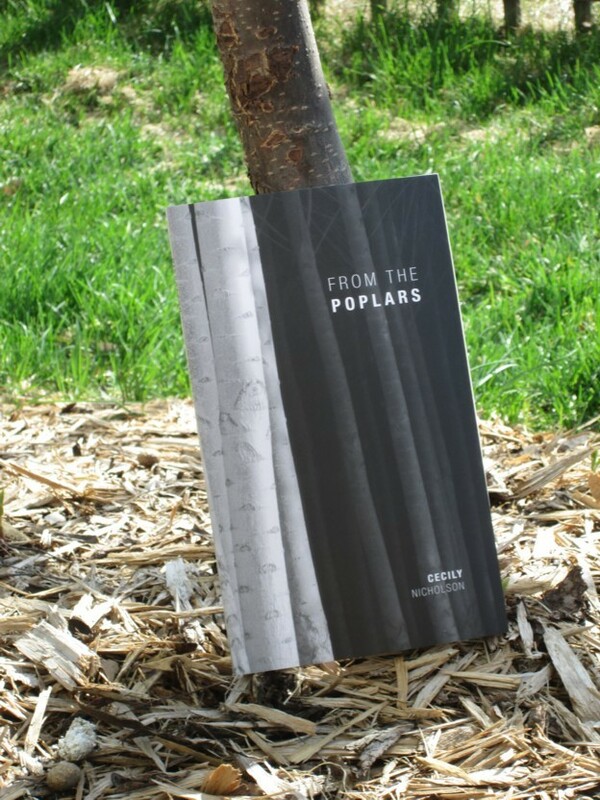 Nicholson’s latest book From the Poplars, traces multiple layers of historical memory, the site-specific poetic sediment on an uninhabited island in New Westminster, BC, an unmarked, twenty-seven and a half acres of land held as government property that is known as Poplar Island. The traditional territory of the Qayqayt First Nation, it was later to be quarantine for indigenous smallpox victims, and then clear-cut for shipbuilding during the First World War. Reminiscent, at least in spirit if not form, of Gary Snyder's Turtle Island, what is most unique and refreshing about Nicholson’s book is the amount of lyrical complexity she maintains throughout her activist solidarity, in which her meticulous reportage allows language itself to reveal the cruel ironies and paradoxes of our place in the world, even at a place we pass every day in transit without ever really seeing it.